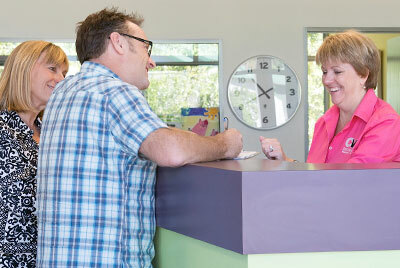 Crookwell Veterinary Hospital operates from a contemporary, architect-designed building. Our facilities are superbly equipped, and have been purpose-built to deliver high standards of veterinary care for all animals, large and small. CVH staff are professional, compassionate and dedicated. They work as a team, sharing their expertise and many years of experience to achieve the best possible outcome for animals and their owners. Our surgical, x-ray and ultrasound facilities enable us to provide on-site diagnostics and treatment, and our pathology lab delivers rapid full blood results for critically ill patients. The hospital provides a comfortable and caring climate-controlled environment for pets in hospital and post-surgery, with separate dog and cat wards, and an isolation ward for pets with infectious diseases. For large animals, we have excellent stables and handling facilities on site. As part of the practice’s focus on herd health, we work with producers to develop disease control strategies for individual properties. Internal parasite faecal egg counts ensure the right drench delivers the best outcome for each property and seasonal situation. We’re also a proud official Partner Practice of the University of Sydney Faculty of Veterinary Science, with senior veterinary students spending a month at a time in the practice throughout the year. CVH services a wide area and we provide veterinary care for large and small animals right across the Crookwell and Goulburn districts. Take a moment to enjoy a virtual tour of the hospital and meet our team – they are our greatest asset.